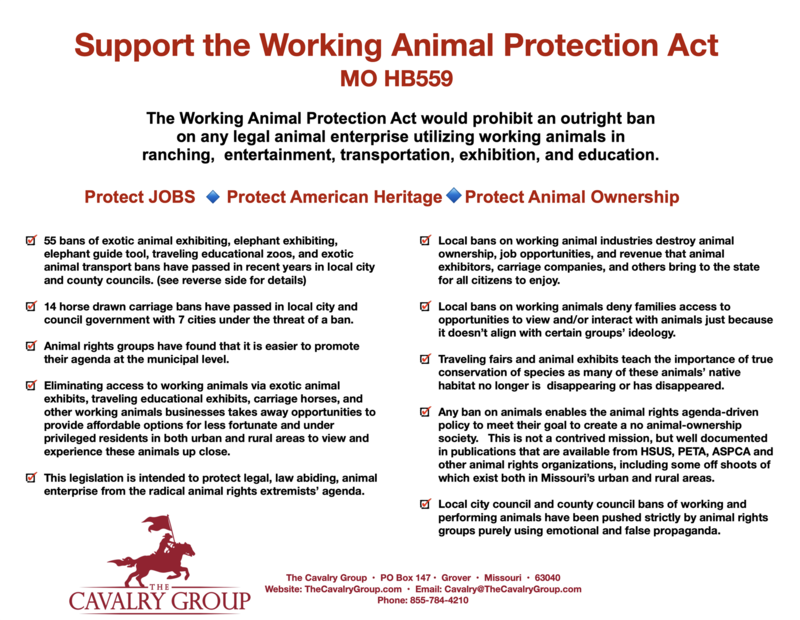 The Cavalry Group - MO Working Animal Protection Act! We are almost to the halfway point to get the Working Animal Protection Act across the finish line in the Missouri legislature. I know you might be growing tired of us asking you to send emails, phone calls and Tweets, but that is part of the process to accomplish the goal. 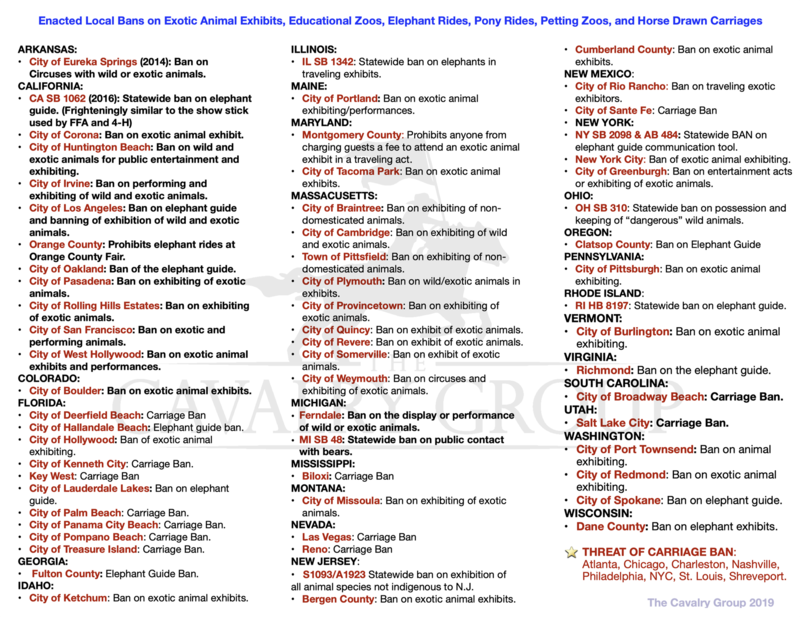 This bill is the first of its kind and would protect legal animal enterprise utilizing animals for transportation, education, exhibition, and entertainment from being banned by local political subdivisions. YES Vote on HB559 TODAY! "Thank you for Voting YES on HB559 and standing up for legal businesses utilizing working animals in transportation, education, exhibition, and entertainment in Missouri! Protecting jobs! Protecting animals!"